(In collaboration with Andrew Steen). 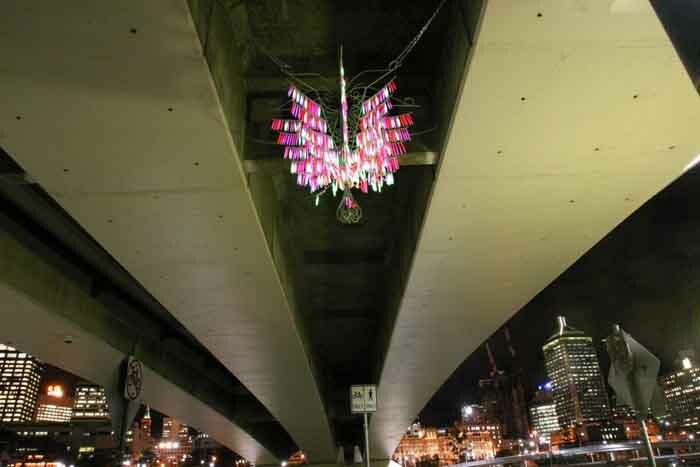 Location: Beneath Queen Victoria Bridge, Brisbane City, Queensland, Australia. 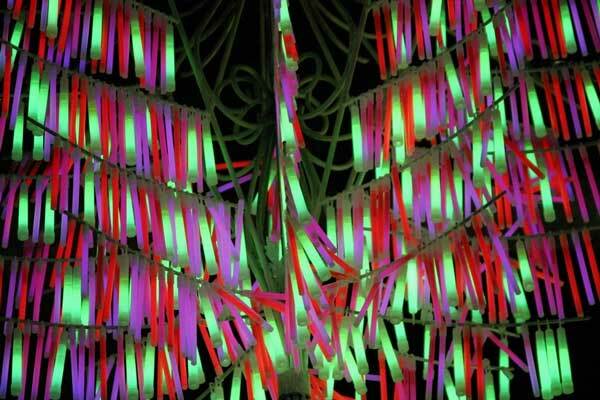 Media/Dimensions: 1000 Glow sticks, Steel, glow indark paint. This work developed in response to the extreme differences in democratic occupation and use of the space below the bridge. 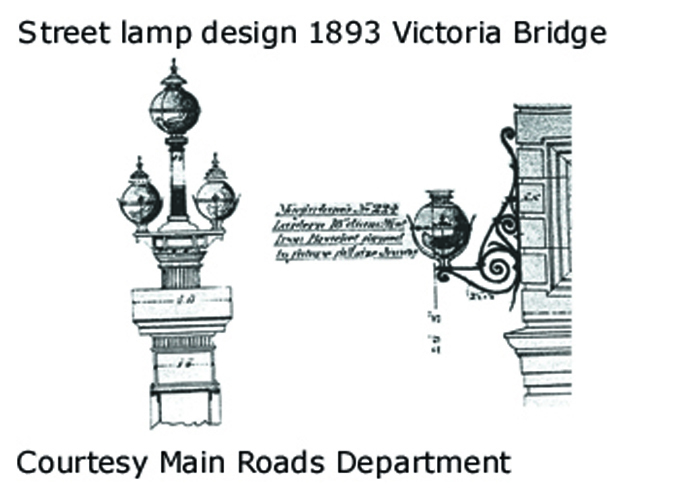 The design for the chandelier was drawn from main roads plans of the original street lamp designs from the 1893 structure. Indicative of wealth and opulence the work transformed this space for one night via 1000 glow-sticks. For the remainder of the one month exhibition, this work’s presence was one of a ghost-like relic; alluding to architectural history lost and the irony of that space as someone’s ‘dining room’.